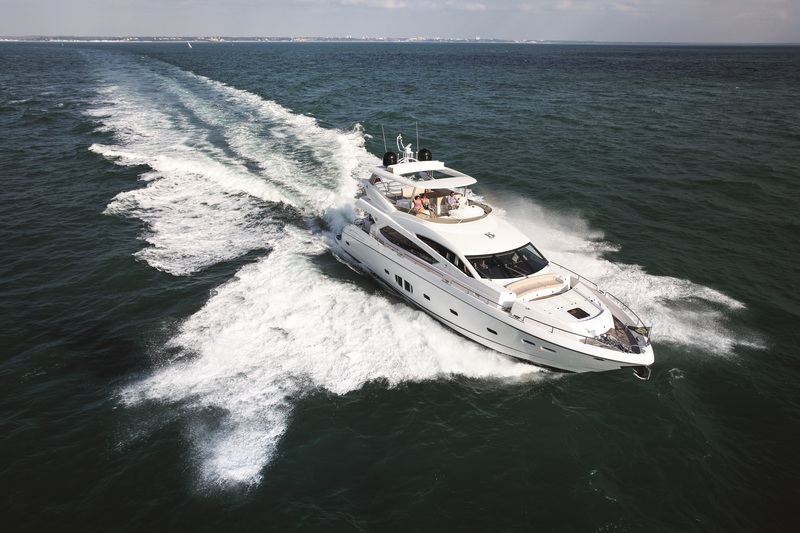 For example, an owner may choose a semi-formal dining area or an open galley on the main deck, or alternatively a formal crew separation with a full beam dining area serviced from a restaurant-style galley situated on the lower deck. 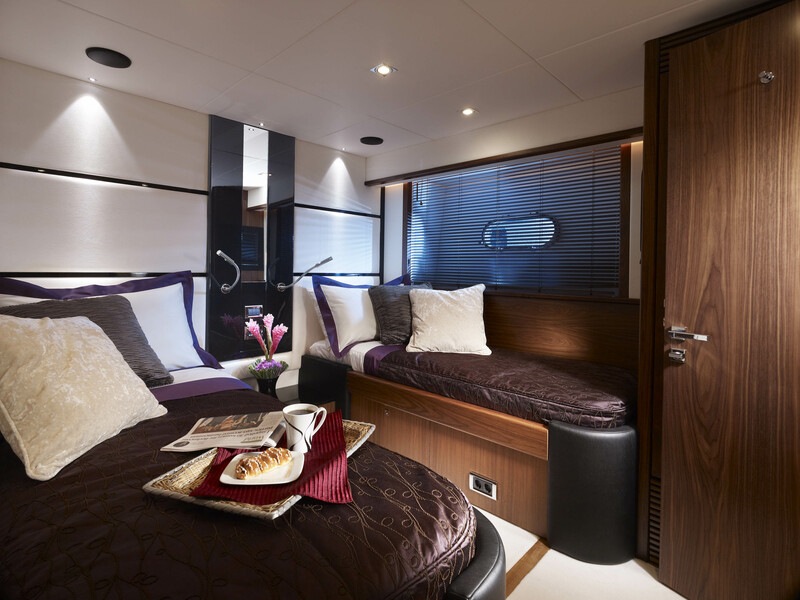 This craft has a versatile range of accommodation and with many layout options available there is a choice between three full beam double suites, or two double guest cabins and two twin guest cabins. 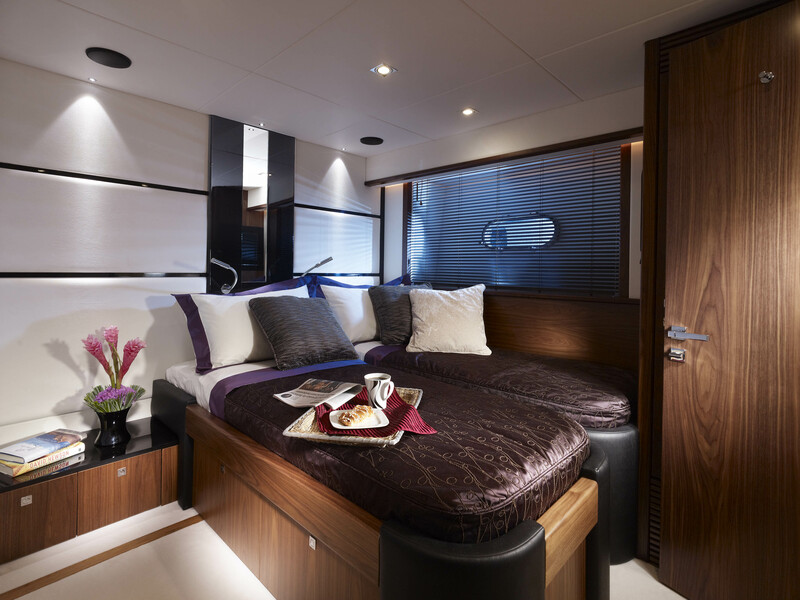 There is a forward facing master suite midships, or an aft facing alternative that’s accessed not from the main central lobby but by its own private stairway aft in the saloon. There are many different configurations as well as timber grains, fabrics and furnishings that can be used throughout to add countless personal touches. 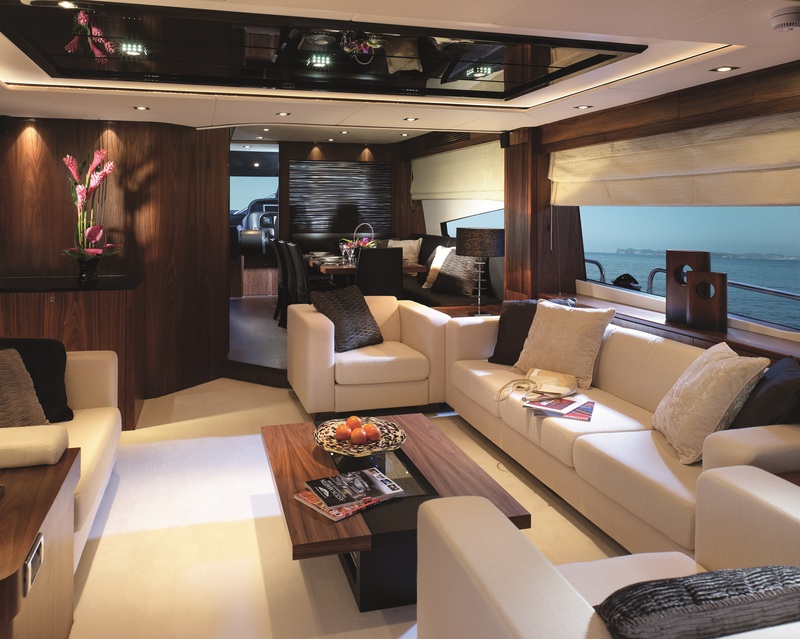 The detailing is impeccable, be it in the stitching of the leather, fine grained cabinetry, or the engineering of the onboard systems. 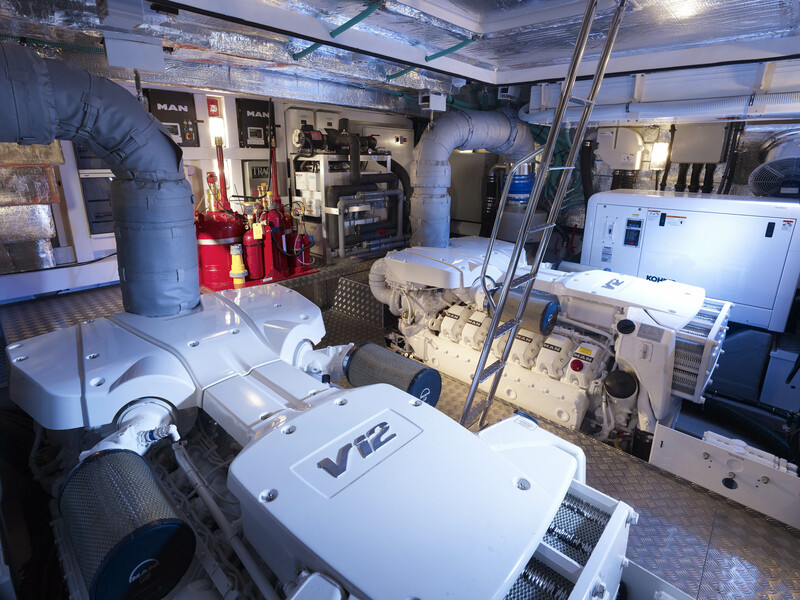 Big yacht practice extends throughout, not least in the well appointed wheelhouse on the main deck with systems monitoring to ensure optimum efficiency and operation. 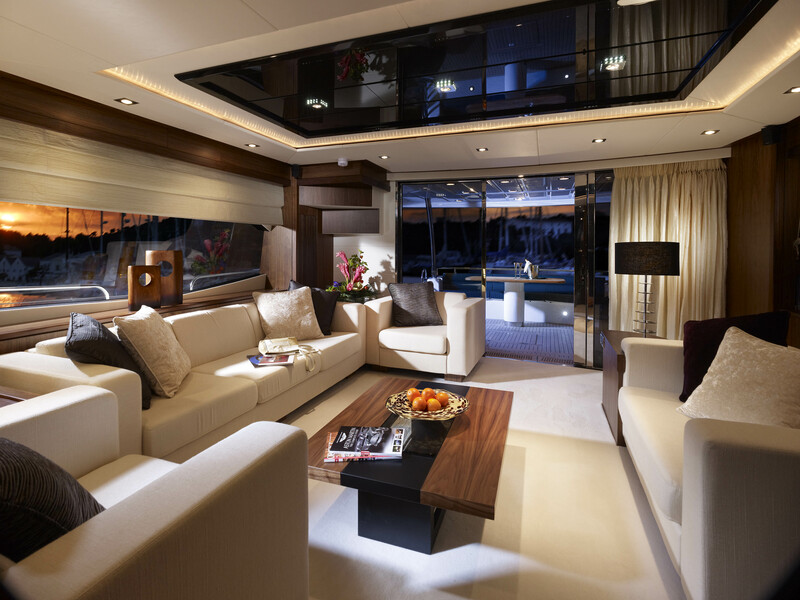 Moving around the 80 Yacht is simple and safe, the neatly laid teak side decks provide sure-footing whilst external stairways with practical depth and height of tread, tactile handrails and low level lighting ensure safe passage between deck levels. 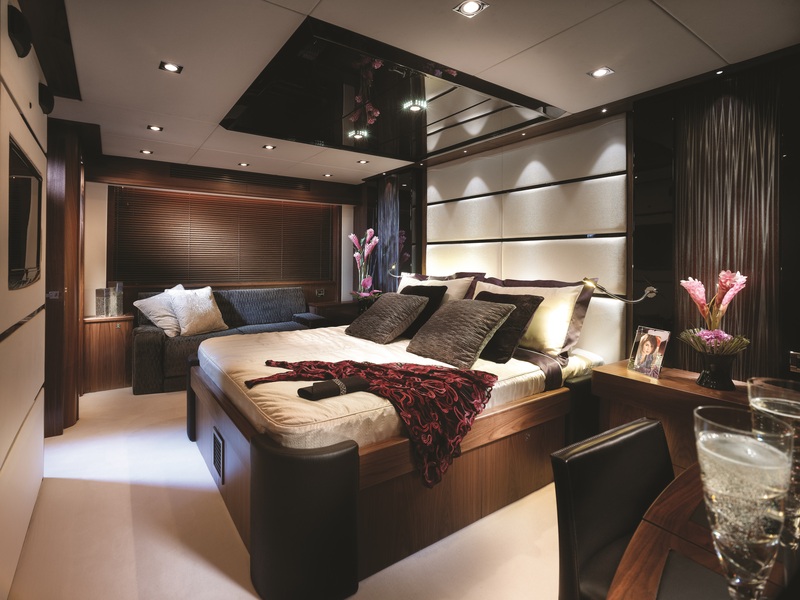 The crew quarters with their own access are situated in the stern providing added privacy to the owner and guests. 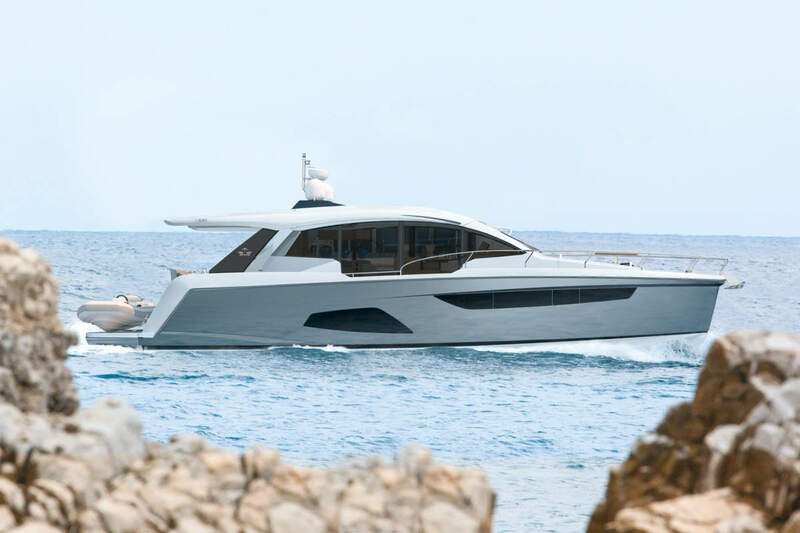 With a cruising speed of 24-25 knots, range is around 350 nautical miles, but at full throttle with the twin MAN 1800 PS diesels and tunnel props the 80 Yacht will charge along at a comfortable 28-30 knots. 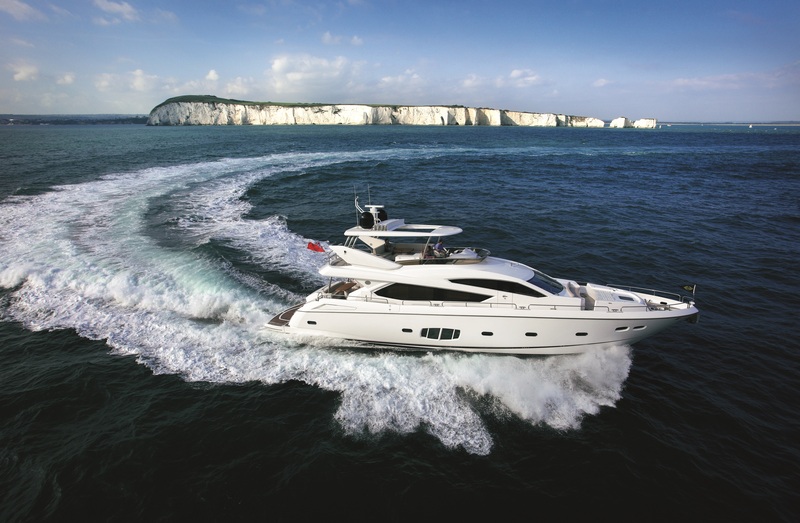 The 80 Yacht has a large flybridge providing separate helm position, ample seating and sunbathing space, and is available with an optional hardtop with opening sunroof. At the stern, the large aft submersible bathing platform provides plenty of space to carry a tender.